1st one is pretty cool. Thanks for sharing and welcome. Would look good on a Yugo. 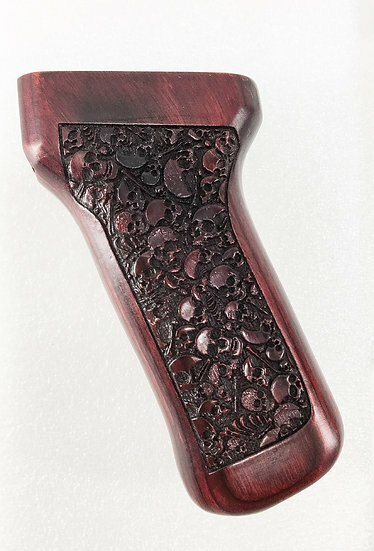 Brown Laminate and Unfinished grips are now available on our website, ebay and Etsy stores. Stain to match your other furniture components. Location: Remember the Tomahawk 5! I don’t know what’s up, but your website makes my IPhone shut down!? We're not trying to shut down your iphone. Just tried ours and no issues. Website was undergoing maintenance, maybe that was it. Check ebay and Etsy stores. Not saying you where, just that it happened. I checked out the Etsy link. 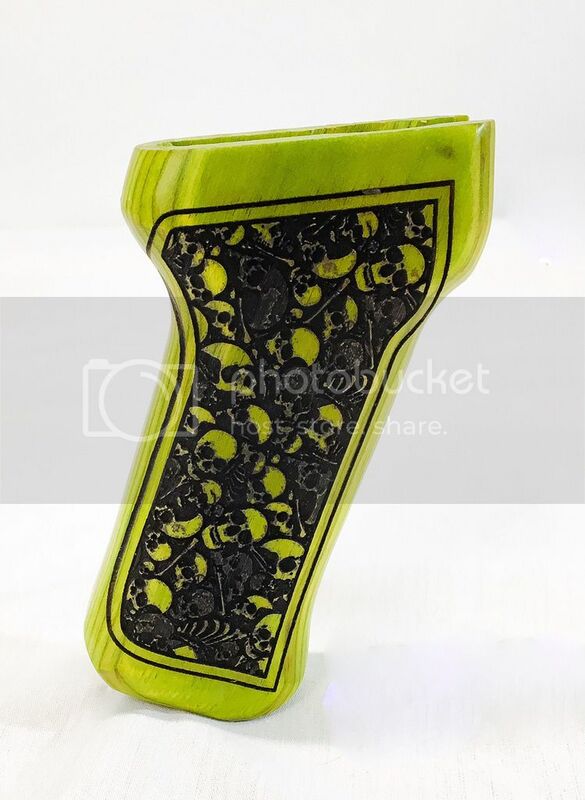 I think the AK skull grips are cool. 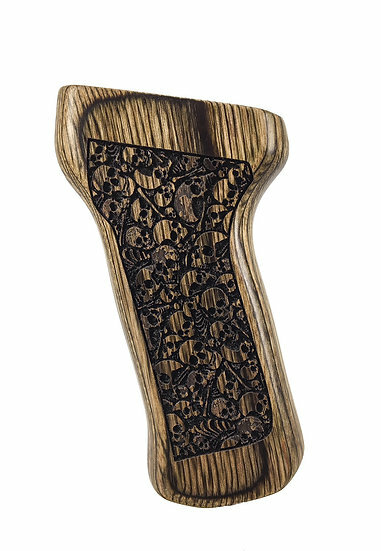 I was hoping to find a simular skull pattern for a CZ75, but looks like you only do 1911s, which arnt in my wheel house. 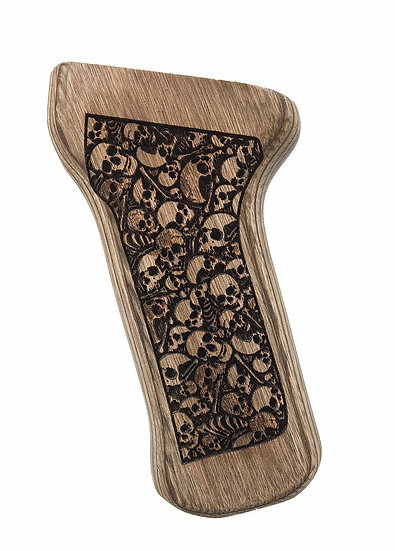 Thanks for checking out our store and our skull grips. Never done CZ75 but we'll check it out.